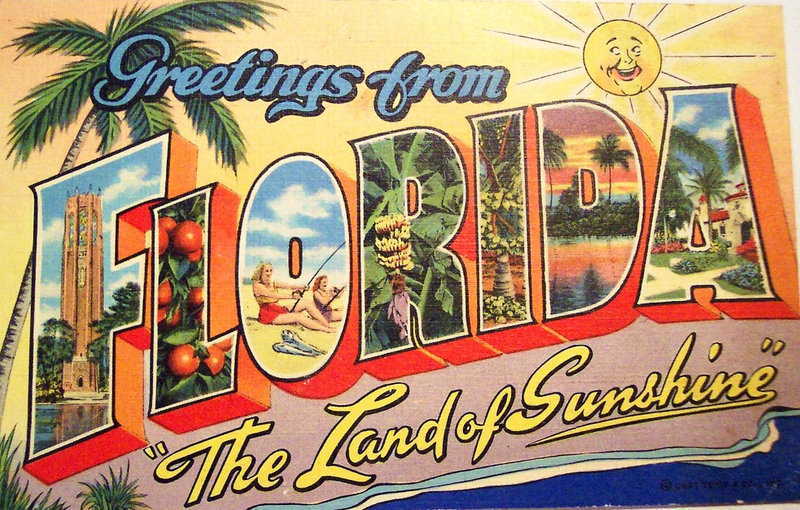 Did you know that Florida has more miles of toll roads than any other state in the US? 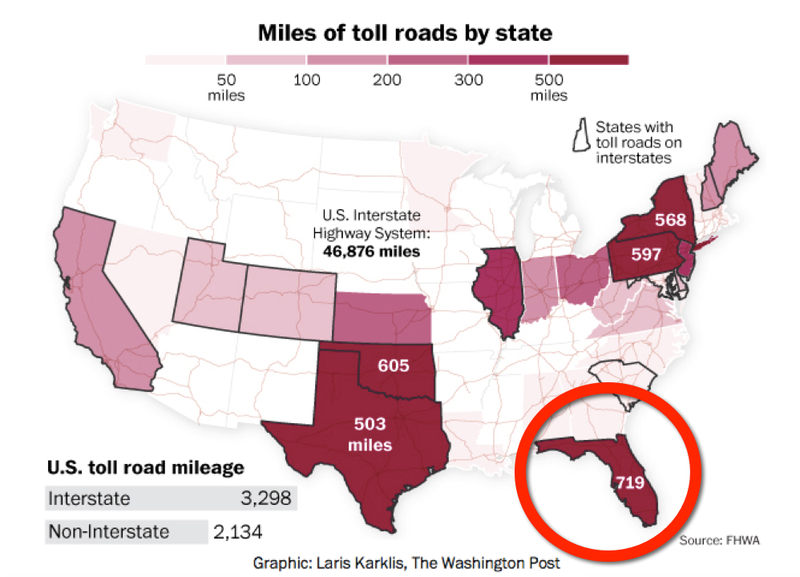 Those who have visited the Sunshine State in the past probably aren’t surprised to hear this, but for newcomers planning to visit for the first time it can often be confusing, if not outright jarring to arrive in this popular vacationland unprepared for the presence of over 700 miles of toll roads, more than any other state in the US. That’s why the people at Tollsmart have published the Florida Tolls Survival Guide, to help millions of travelers visiting Florida this winter navigate the vast network of tolls throughout the state. The guide provides information on major toll roads and bridges in Florida and informs you where you’ll encounter cashless toll plazas that bill via the mail. Also included is an overview of rental car agencies and the related service fees they charge for providing use of a SunPass transponder. Of course none of the above is necessary if you just download the Tollsmart app for iPhone or Android and take it with you on your trip. 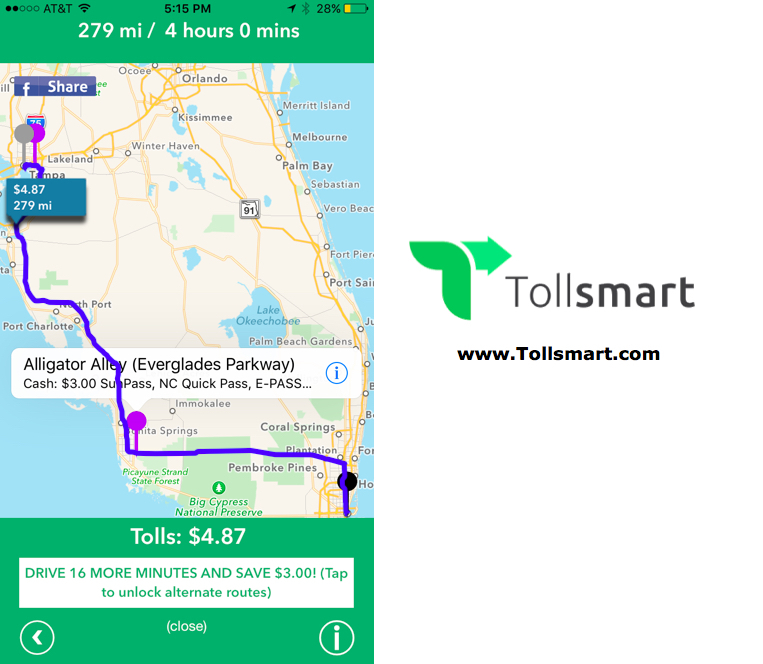 Tollsmart will make it super easy to calculate the cost of tolls for any trips you take across Florida and highlight alternate routes that can save you money, as well as display where you’ll encounter cashless toll booths. Wherever you vacation this coming winter we hope you have a safe and happy holiday. This entry was posted in Android app, Calculator, Google Maps, iphone app, mobile app, road trip, Tolls and tagged disney world, florida, orlando. Bookmark the permalink.